Having a mentor is often invaluable for workers in their early to middle careers. Courses, study groups, guest speakers and conferences all help them learn their trade. But one-on-one interaction with a wise and supportive mentor is an incredibly important component of the learning curve. Let’s not forget, though, how much an experienced professional can also benefit from helping their colleagues learn and develop. 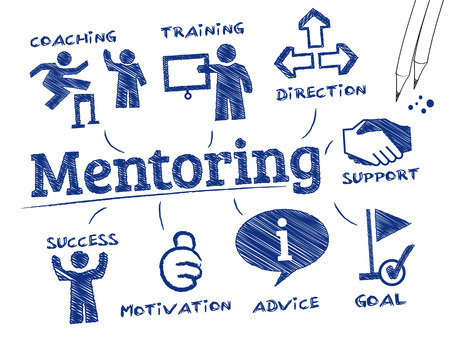 Following is a list of several good reasons to consider becoming a mentor. Enhance your ability to explain why you make certain decisions. And, in the process of rationalizing what you do, you might even change the way you do things. Gain a better understanding of who you have become in your work life. You know more than you think you do. 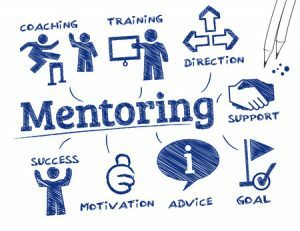 Becoming a mentor helps you to see that, thereby enhancing your self-confidence and self-esteem. Fill in the gaps in your knowledge and skills. You can’t assume that the mentee has everything to learn and you know all about everything there is to know. Often, the mentee will be able to offer fresh perspectives, ideas or approaches. Your mentees may have been in school or studies recently, and therefore may be able to tell you about new techniques and innovations they have learned. Expand your professional network. Your mentee may be able to introduce you to valuable contacts such as respected instructors or people in a workplace where the mentee did a practicum. Contribute to your community. The members of a profession have a responsibility to be part of the “bucket brigade” — passing on what they know and have learned to those who are just starting out. Become known as a leader. Mentors are seen as people who step into the ring, showing colleagues the way to a successful and rewarding career. Become known as an expert. Mentors are recognized as people who have information and experiences to share. Put it on your resume. People who reach out and contribute to the development of their colleagues impress their clients and employers. Perhaps this final point should be first. Nothing can compete with the tremendous feelings of self-worth and fulfilment that occur when you share and give back. Having someone ask you to share your knowledge or give advice is exhilarating. Editors Canada launched the John Eerkes-Medrano Mentorship Program in the spring of 2017. For information about how you can become a mentor or a mentee, click here. Previous post from Anita Jenkins: Editors Canada’s Karen Virag Award. 3 Responses to "Mentorship: Where the Learners Teach and the Teachers Learn"
Yes, mentoring can be a true win-win experience. Thanks for explaining what the mentor gains so clearly, Anita. By coincidence I read your article right after one that listed the most satisfying jobs https://www.inc.com/jessica-stillman/all-most-satisfying-jobs-share-this-1-key-characteristic.html. It says that “the happiest jobs are those that involve giving to others.” You nail it with “Personal Satisfaction,” Anita. Well put, Anita. I echo what you and Wilf have said about the deep satisfaction that comes from giving of yourself and sharing your knowledge. What I love most is seeing former students go on to flourish and exceed all expectations. For some beginning editors, all it takes is a small boost, a nudge of encouragement. Then they’re off, heading sky high.